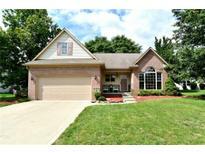 Below you can view all the homes for sale in the Apple Creek subdivision located in Avon Indiana. Listings in Apple Creek are updated daily from data we receive from the Indianapolis multiple listing service. To learn more about any of these homes or to receive custom notifications when a new property is listed for sale in Apple Creek, give us a call at 317-662-3724. Living and Dining Room*Main floor Office*Wonderful Great Room with gas fireplace and built-in bookcases with raised ceiling*Updated kitchen with granite counter tops, white cabinets, appliances and breakfast nook*Master Suite with full bath with separate shower, garden tub, his/her sinks and walk-in closet*Loft area for a quiet getaway*Laundry room with cabinets and extra storage*Over sized two car garage with workbench and cabinets*All this on a gorgeous lot (almost half an acre) with huge deck with gazebo, fire pit and mature trees! Great neighborhood, too! MLS#21626780. F.C. Tucker Company. One year HSA Home Warranty is included! 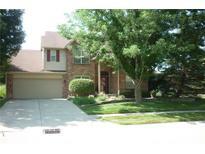 MLS#21596165. Carpenter, REALTORS®.